You are in : Adelphi > News > Adelphi Manufacturing > Craft gin ‘boom’ looks set to continue, and Adelphi can help! “A growing thirst for gin has driven the number of English distilleries to increase by 620% since 2010”, according to BBC News this morning. HMRC issued 31 new distillery licences in England in 2018, and according to the Wine and Spirits Trade Association (WSTA), “more than 66 million bottles of gin were sold in the UK last year, up 41% on the previous 12 months”. Adelphi are experienced suppliers of filling and capping machinery, and have had clients in the ‘gin-dustry’ for many years. Sales Director Dean Willis has helped hundreds of start-up craft and artisan producers grow their businesses – Janet Sawyer, whose vanilla paste business began as a one-woman operation at her kitchen table, now has a distribution footprint which extends to cover sixteen countries. She reminisces that “Dean’s honest advice and support was invaluable – he monitored our company growth, and recommended machines accordingly, making sure we didn’t overstretch our resources”. Janet was also quick to stress the importance of her company’s “organic growth”, assisted by Adelphi, which has seen automation applied to her unique concept without compromising the values at its heart. Often recommended for craft producers is Adelphi Manufacturing’s Response Benchtop Filler, a semi-automatic machine which is loved by clients in the food and beverage industry, including Janet. 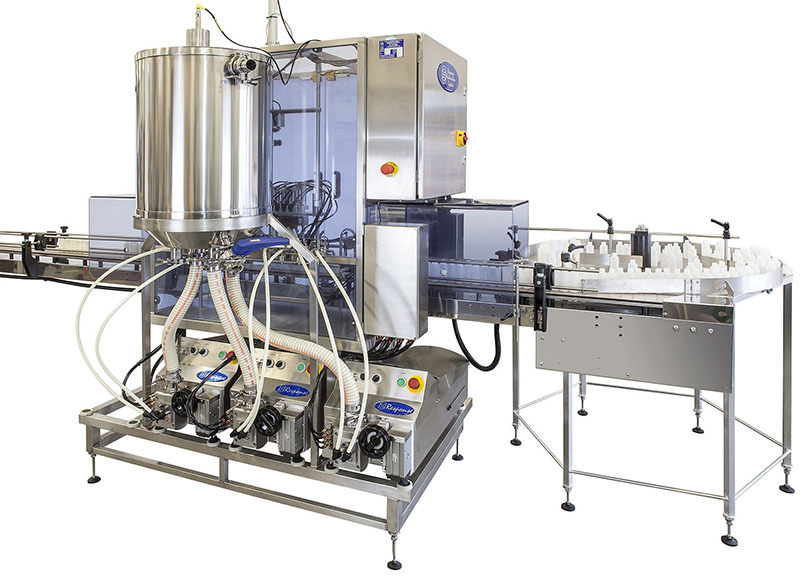 The Response Benchtop Filler is quick to assemble and clean, meaning that changing between products and containers is as easy as possible and production downtime is kept to a minimum. As production demands increase, your semi-automatic Response Benchtop Filler can be fully automated with the addition of the Automation Base: we up-scale your machine, so that the initial investment isn’t made obsolete as your business grows. Up to four Benchtop Fillers can be included within the Automation Base: this system therefore provides great production flexibility, and can be used as a highly adaptable automatic 8-head (up to 100ml fill) filler, or up to four independent semi-automatic bench top filling machines as your needs dictate. To find out more about how Adelphi can help your craft gin business, please don’t hesitate to get in contact on +44 (0)1444 472300 or email sales@adelphi.uk.com.